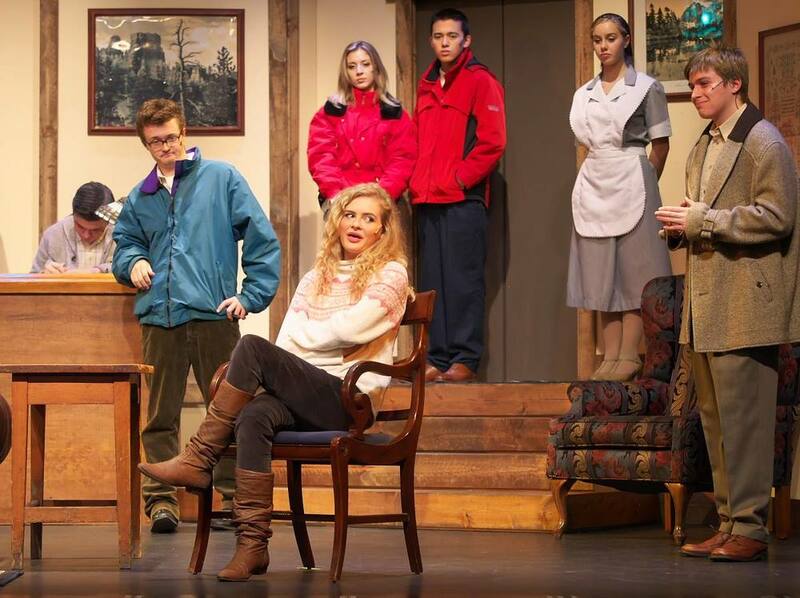 Set in a remote Coloradan ski lodge in the dead of winter, “Mystery Weekend” is supposed to be an entertaining gathering where actors posing as guests simulate a murder that the real guests must solve. But the play begins with an unexpected and horrifyingly gruesome murder. Or does it? 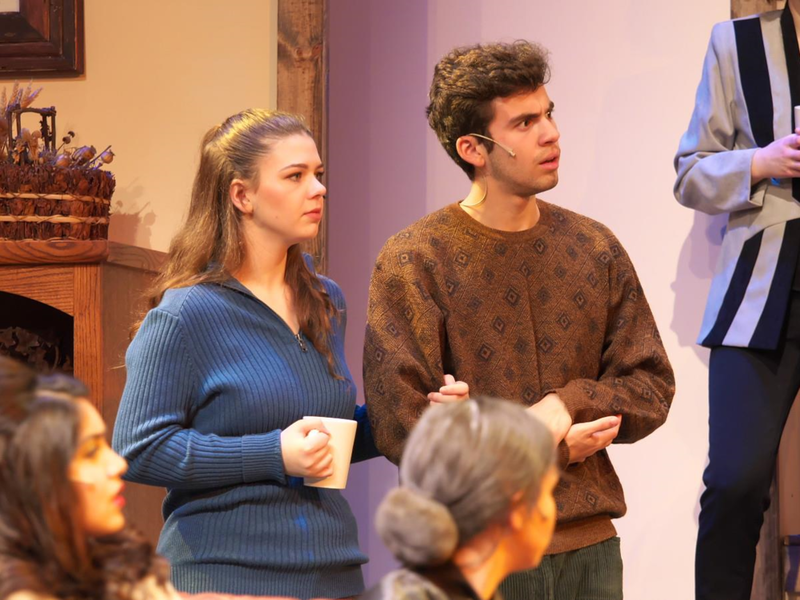 Almost all the guests believe so, and they are convinced when they find the body of the lodge’s hot-tempered owner (senior Liam Metzcus) stabbed in a cable car. His death, however, is not surprising, as he was loathed by the both the lodge manager (sophomore Agustin Ortiz) and his wife (junior Felicia Azzopardi) as well as the actors hired to perform the “Mystery Weekend.” Eager to determine the culprit of the crime, acclaimed mystery writer Annie Laura Anderson (junior Madelyn Levine) conducts her own investigation of the scene and, with the cunning observations of self-absorbed actor Lance Steele (junior Andrew Battat), she decodes the mystery of “Mystery Weekend”: there was never a murder in the first place! 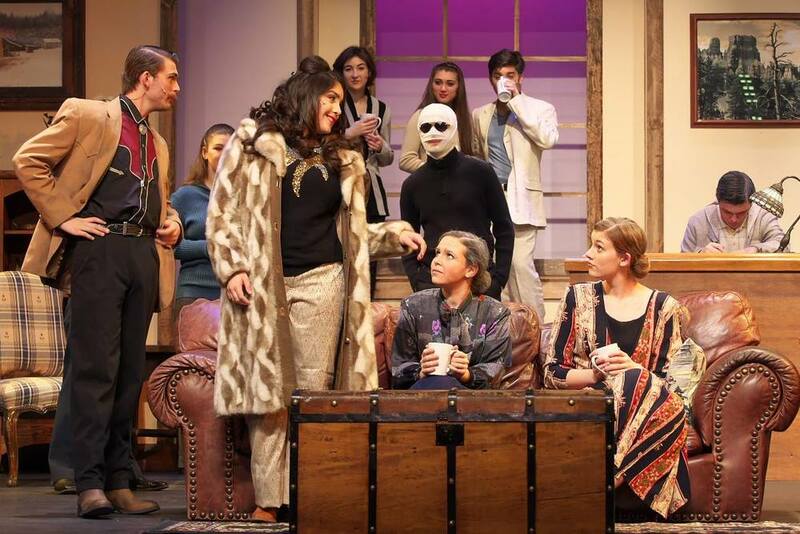 The seemingly twisted plot of the production was complemented by humorous characters, classic love triangles, and relationship drama. Perhaps the most notable character for his comedy was Jimbo Wells (junior Roanan McCaa), a clueless Texas oil millionaire whose absurdly oblivious remarks lifted some of the play’s darkest scenes. The apparent love triangle between actors Larry Lancaster (senior John Peceimer), Regina Dale (senior Jenna Beressi), and Allen Taylor (senior Ben Howley) also suited the plot’s heavy nature. 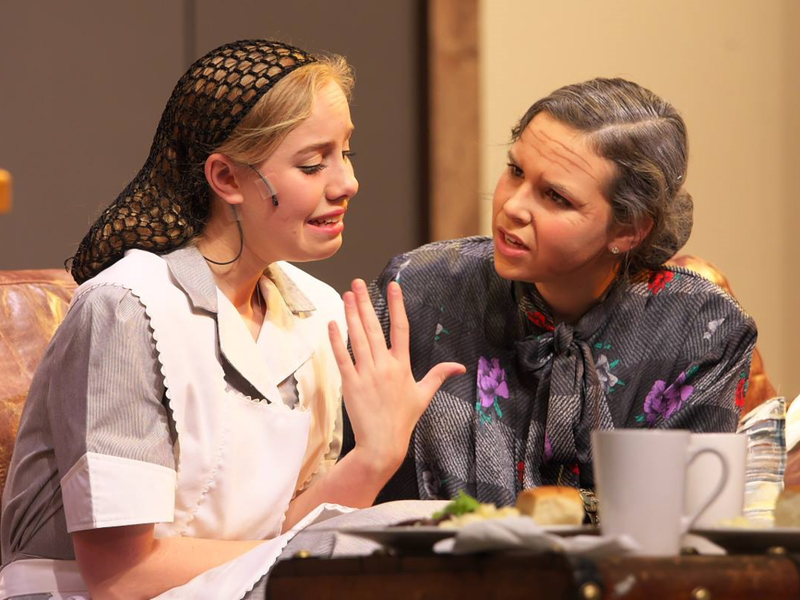 And all the while, Stephanie van Patton (junior Maggie Johnson), a spoiled rich girl, learned how to mend her dysfunctional relationship with her parents with the help of Hollywood casting director Jeanine Darrow (sophomore Viva Freedman). Another memorable aspect of “Mystery Weekend” was its incredibly accurate set. Small touches like a working fireplace and deer head mount contributed to the eerie, rustic ambiance of the mountain resort. Occasional sound effects were used effectively to mimic a classic whodunit film without seeming tacky. And despite the intense preparation, the cast and crew were definitely not prepared for the humorous reactions of the audience. Junior Roanan McCaa said, “We were really surprised to see the audience reacting to small jokes that we never noticed ourselves. I hadn’t realized that my character was so funny, so when people laughed at my first few lines, I was caught off guard.